[share_ebook] Cambridge Grammar for IELTS Student's Book with Answers and Audio CD (Repost) | Free eBooks Download - EBOOKEE! Posted on 2011-08-20, by trickyexpert. 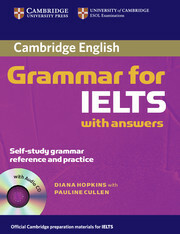 No comments for "[share_ebook] Cambridge Grammar for IELTS Student's Book with Answers and Audio CD (Repost)".